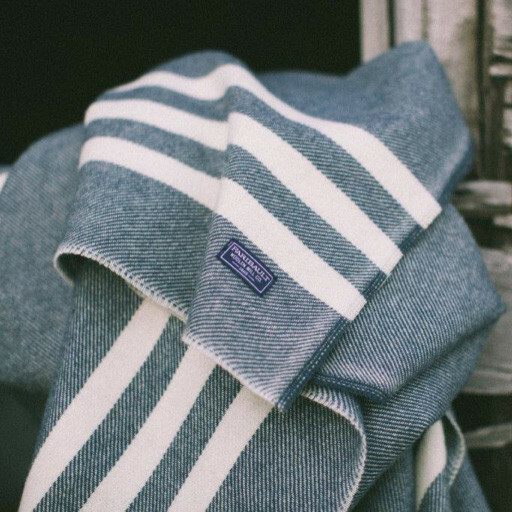 Merino Trapper Throw from Izzy and Jean Co.
Rugs, blankets and warm socks all scream winter and with Auckland being as freezing as it is right now, these are my current home comforts. So when I received an email from Claire Ongley telling me about her newly launched NZ online store Izzy and Jean Co, I was very happy to find all three on offer. Not only that, but they are also some of the loveliest I've seen! 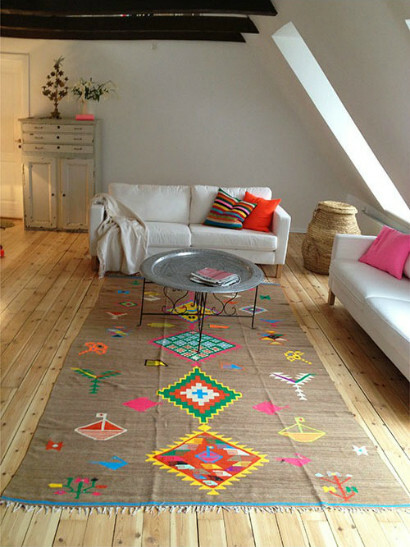 Truly unique, and so very beautiful, this colourful handwoven Kilim Rug is a one-off sourced form a small desert village in South Eastern Tunisia. Imagine being able to tell your visitors that! 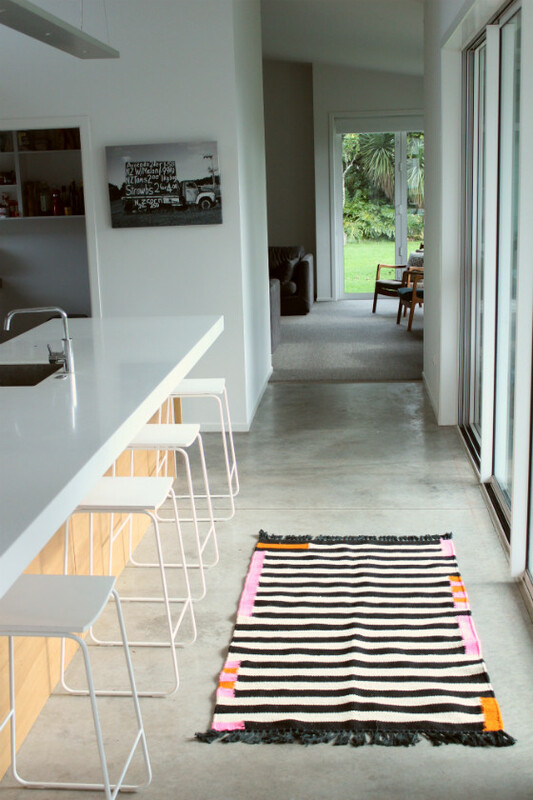 I can't resist black and white stripes, but it's the touches of bright colour that make this Rug stand out from the crowd. Also made in Tunisia, it is woven in thick, soft sheep's wool. So cosy! 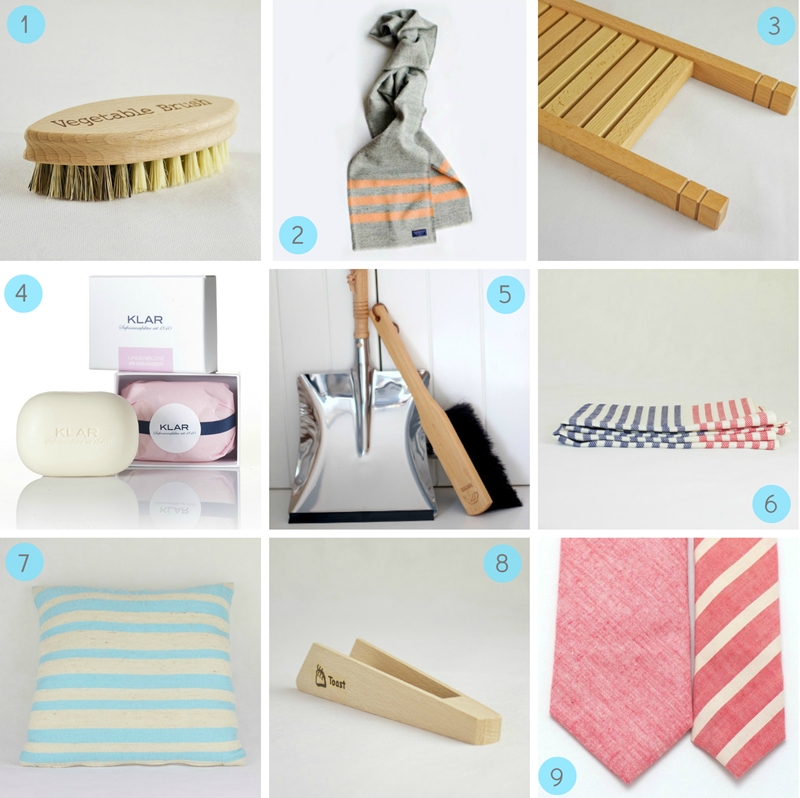 Take a look at the small textile mill where it is made from hand. Designed in Denmark, I love the Scandinavian style of this one. 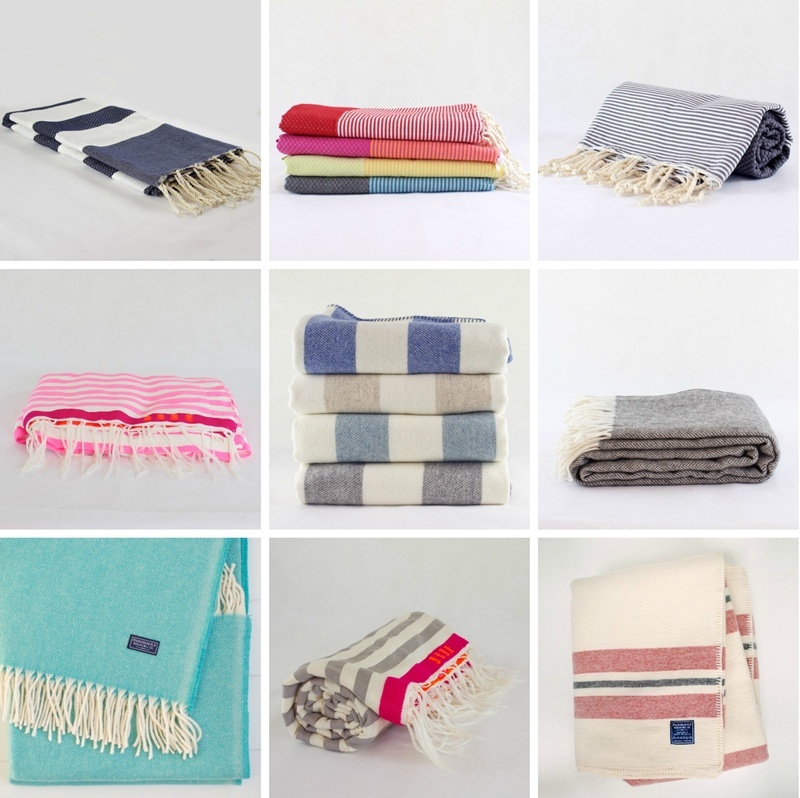 Izzy and Jean Co stock a great range of blankets, throws and Turkish bath towels (which can also be used as throws). With the option of wool, cotton or merino and a range of fabulous colours and patterns, the hard part is deciding which one! I have a bit of thing for socks, especially in winter, and I'm really big on buying good quality. These babies are right up my alley. Designed in New York and made in Italy, I'm loving the fun polka dots and stripes which were featured in Vogue Magazine. The six pack bundle of baby & toddler socks are adorable! Made by Etiquette Clothiers in New York from the finest Italian cotton, your little one's tootsies will be warm, snug and stylish! Based in Oakura, at the foot of Mt Taranaki, Izzy and Jean Co. stock a range of gorgeous goods, many of which are handcrafted and sourced from around the world. Created by people who have unique skills or are following generations of tradition, the underlying theme is that the products all tell a story, and are the result of a person's love and dedication to their craft. Tell us a bit about your background and the path that led you to launching Izzy and Jean Co? I have recently moved back from Sydney, where I was living for the last six years. My background is the internet. I have worked in producer and product manager roles for various media companies including Yahoo, Fairfax and the ABC (Australian Broadcasting Corporation). My jobs involved managing the development of websites, so it was a natural progression for me to want to start a website of my own. It has always been a dream to run my own business, and to be able to work when and where I choose! I've always envied those people who get to work from home doing what they enjoy, and now I'm one of them, hurrah! My partner Daniel and I moved to Oakura in the Taranaki, which is a major lifestyle change. Oakura is a tiny beachside 'village' (for want of a better word) with one pub, one dairy and not much else! Quite the contrast from Sydney. Izzy and Jean Co. allows you to choose from categories including Home Goods, Her, Him, Tots and even Hound. 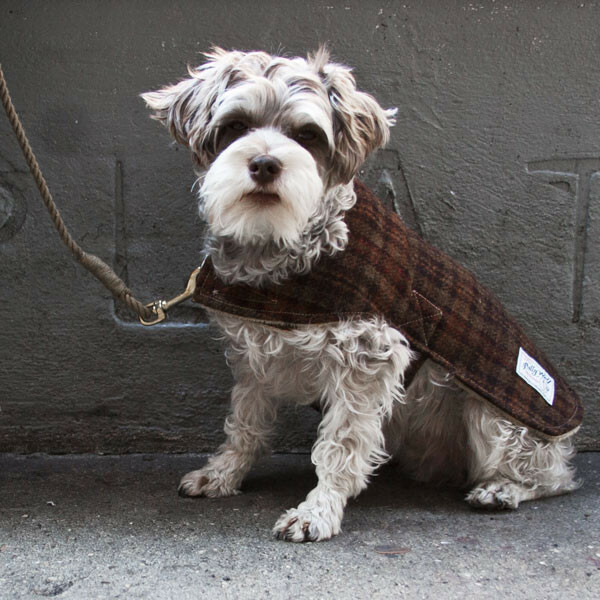 How cute is this little guy, sporting the Mason Tweed Dog Coat? What inspires you - travel, the web, creative people etc? I have lived in New York and Spain, and travelled a lot (I am a Kiwi after all) which has inspired me to bring beautiful stuff from overseas back to NZ. In fact, once in my early twenties I found some amazing kitschy bags in a market in Mexico, and bought a ton of them, planning to sell them in New Zealand, but I ended up giving them away as gifts, and some of them stayed in a cupboard and ended up being thrown out. So the idea has been simmering away for a while, but I have only now arrived at the point of actually doing it! People who have inspired me include Lucy Feagins from The Design Files, Lisa Gorman from Gorman, Kristina Karlsson from Kikki.K, who all started out with their own unique personal vision and style, and became hugely successful because of their smarts, dedication and belief in their ideas. 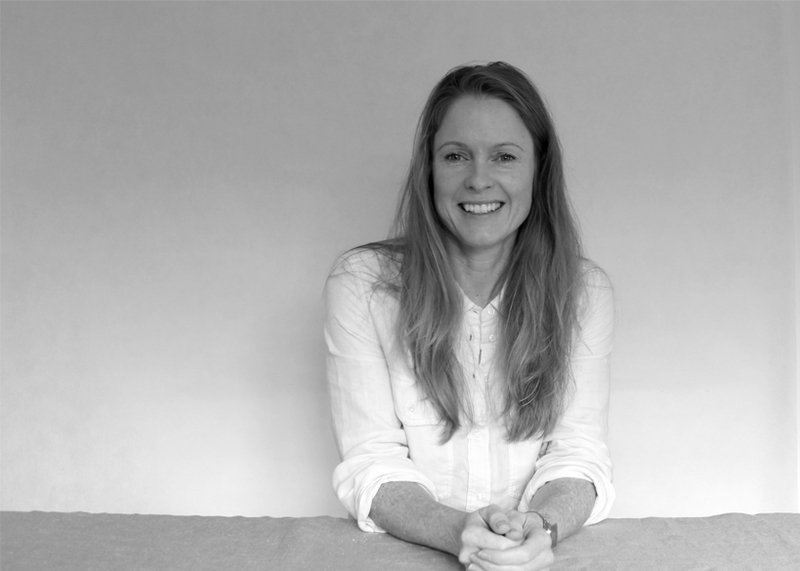 Claire Ongley of Izzy and Jean Co. I'm so with you Claire - three incredibly inspiring women right there, and I can attest that nothing beats working from home and doing what you enjoy. Of course there's always the distraction of online shopping... and it just got better! Pop over to Izzy and Jean Co. to do just that, and follow along here and here. Fantastic site. Thanks for finding and sharing! I just bought some of the Klar's soap - so adorable!!!!!!! !